Our time in the United States is just about over. 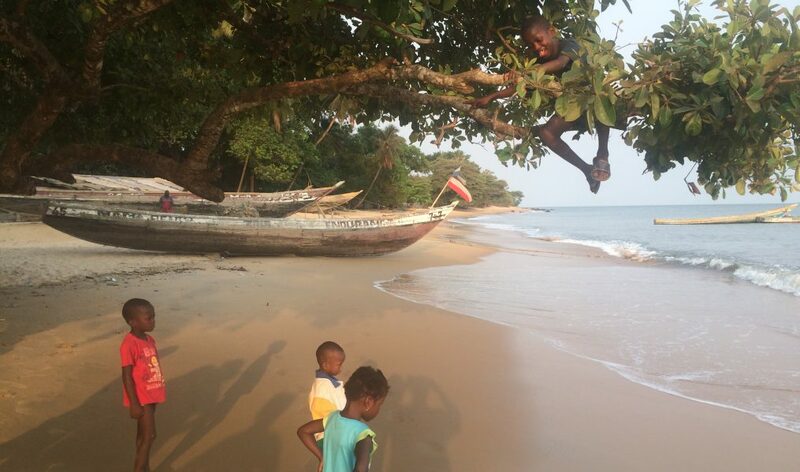 On Tuesday, June 14 we head back to Sierra Leone to again take up our work there. To be frank it has not been much of a vacation in the usual sense of the word, as we have crisscrossed the country doing presentations, meeting with potential donors and volunteers and doing everything we can to tell the incredible story of the Adventist Health System in Sierra Leone. OK, please give a proud dad a little slack. We came back for Lindsay’s graduation from Southern Adventist University. 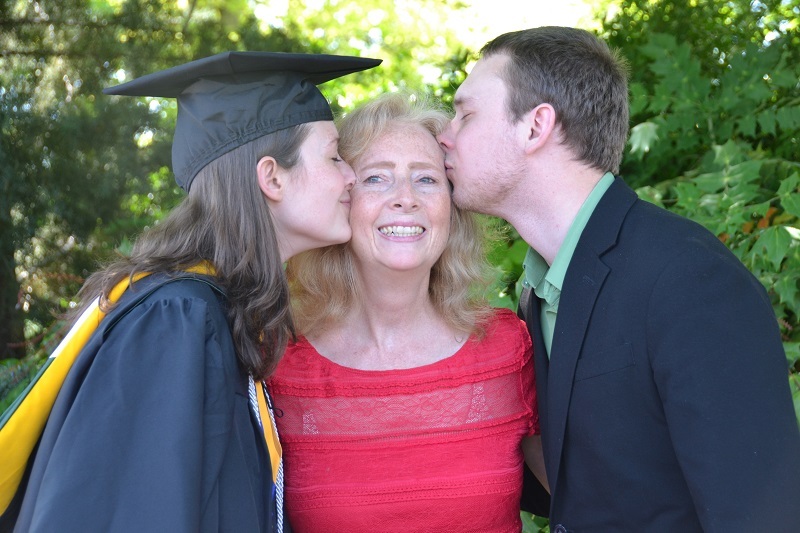 Jon and Lindsay love their mom. And God has blessed our efforts. Thanks to Adventist Health International (AHI), Brothers Brother Foundation, and Healey Foundation we have a new OR table, suction machines and cautery on a container headed to Freetown. Thanks to donors we have not one, but two operating headlights to use until we get the overhead lights repaired or replaced. We have leads on a refurbished affordable autoclave, we have two anesthesia providers who have committed to coming in the next 8 months to do teaching, and a chaplain who is coming this winter as well. We have hospitals, clinics, and churches who are considering partnering (read adopting) us. I just heard that one of the medical school classes at Loma Linda University is considering taking us on a project. So it has been busy, but there is still much to be done, please pray that God will give us grace, wisdom and strength to meet the challenges that lie ahead. So Lindsay, at the last minute, got me to teach her classes for her. 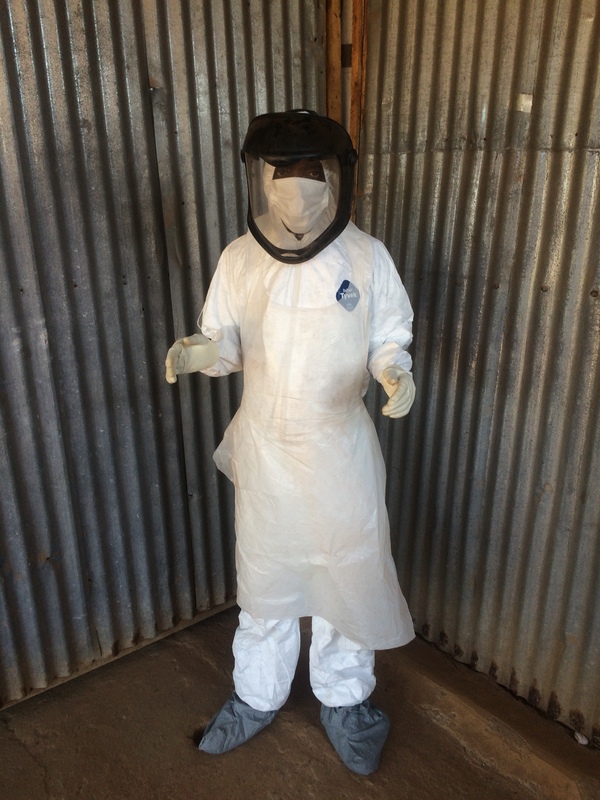 She learned how to put on PPE, from Sierra Leone. 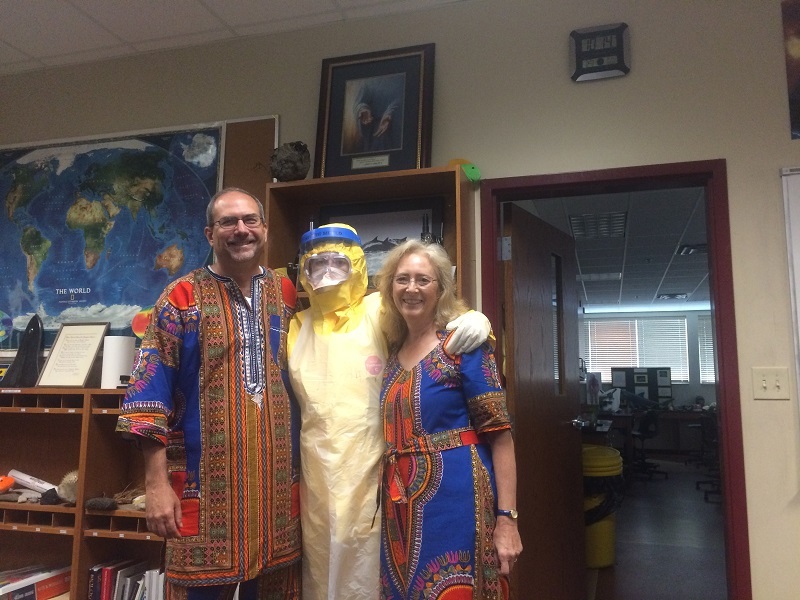 Bekki and I in our Africa duds with Lindsay in her PPE. On our blog page we added a “Projects” page to keep you updated on the status of the various projects we are working on at the hospital. We also added a “How to Donate” page to give simple, clear instructions on how followers can help out financially. 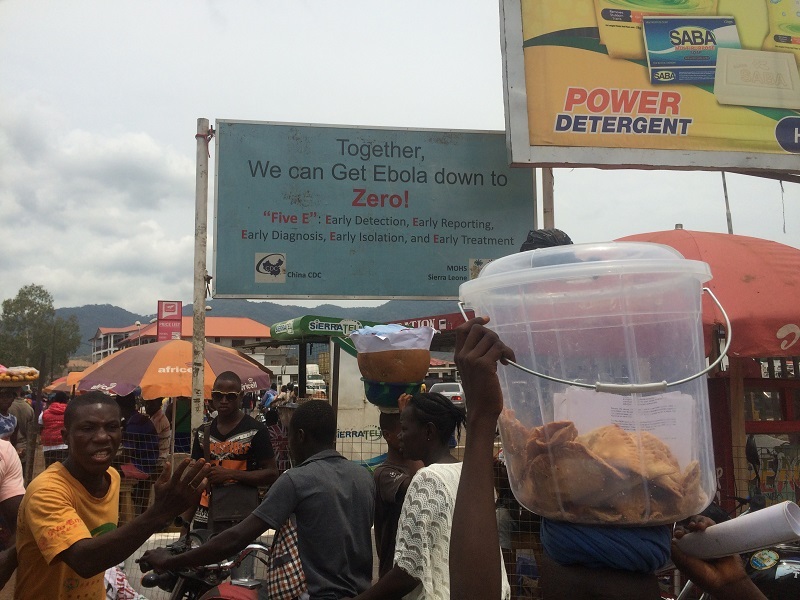 We updated the pictures, and are currently sharing a series of posts sharing the story of Ebola and health care in Sierra Leone. Bekki and I have been convinced of the new reality that is life in the digital age, and the age of social media. So in addition to our blog we have a Facebook page for Waterloo Adventist Hospital, you can follow us on twitter, and Instagram. To follow us on Facebook type “Waterloo Adventist Hospital” in the search line, then “like” us when the page comes up. There are two Facebook pages, one is Waterloo Adventist Hospital, run by us. The other is Adventist Health System – Waterloo Hospital and it is run by our administrator, Mr. Joseph Fobbie, it is also a great page to follow. 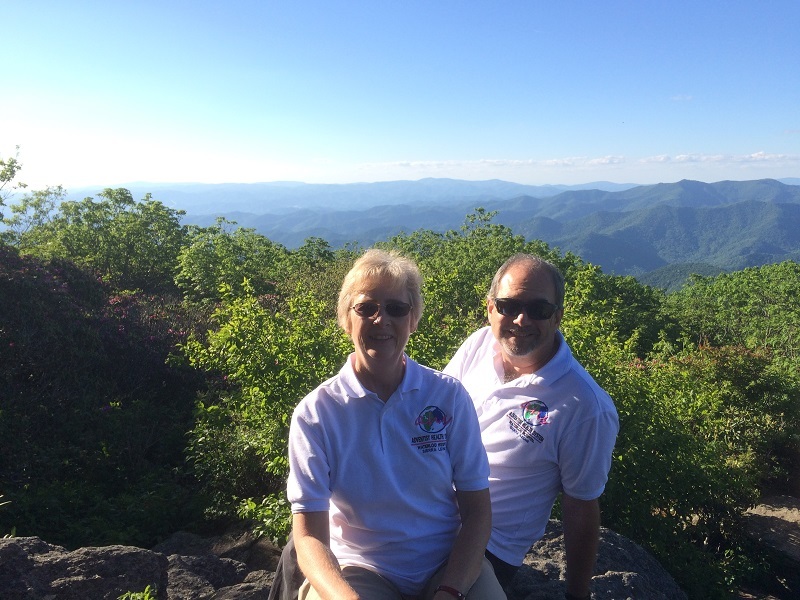 Bekki and I in the Smokies outside of Asheville, North Carolina with the McDowells. Mason is coming, YEA, to teach anesthesia. During the spring and early summer of 2014 the Ebola Virus was steadily tightening its grip on the country of Sierra Leone. Stories and rumors flowed throughout the country. Health Centers and Hospitals were closing as medical staffs were either decimated by the virus or fled in terror. Patients with other diseases such as malaria, typhoid, appendicitis, or complications of pregnancy often had no place to go. 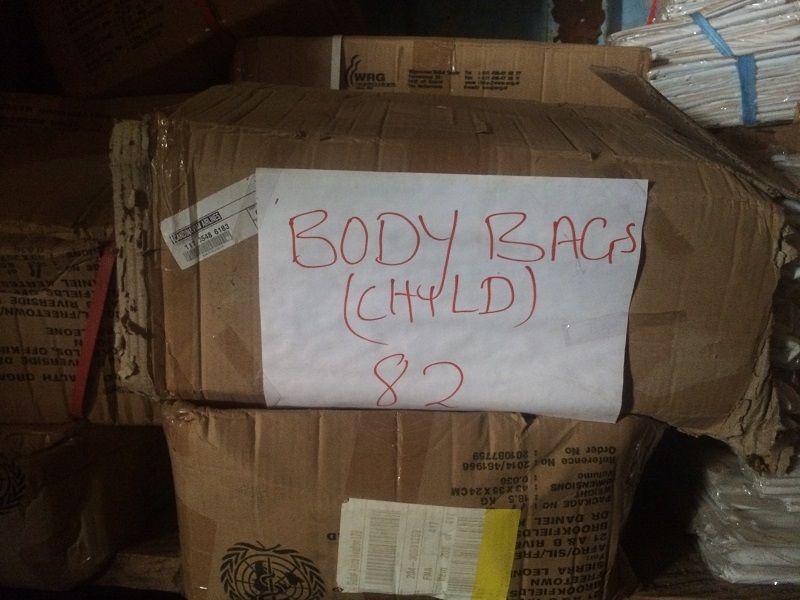 Chaos in the country was rising as the government and international aid workers struggled to cope with the crisis with a limited healthcare infrastructure. In the midst of this crisis was a small 20 bed hospital staffed by 38 employees with vision and dreams. 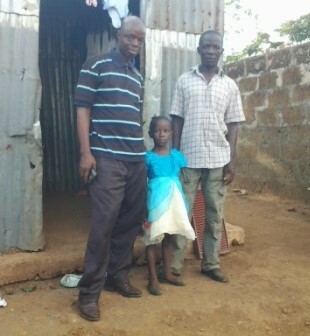 They called their hospital, Adventist Health System, Waterloo Hospital, Sierra Leone. The name reflected the commitment this group had to take the Adventist health message throughout their country. Although they only had one facility at the time but they had plans. Plans to expand, to have clinics and other small hospitals serving the people of Sierra Leone and bringing to their countrymen the good news of Jesus Christ. But for now they had a more urgent matter to contend with. Should they stay open and risk their lives and the lives of their families, or should they take the easy, safe route and do as many of their colleagues throughout the country had done and close the hospital. This was a decision for the entire staff, not just the leadership. And so the entire hospital staff came together. Prayerfully they considered the options, considered the consequences. They thought about the fact that if they died from Ebola they would be of no use to anyone. They considered their families, their community, and their duty towards God. The staff clearly understood the risk they would be taking. They knew that the early stages of Ebola had the same symptoms as Malaria and Typhoid, common diseases in West Africa. Hence without specialized testing, which was not widely available, it was impossible to separate the early cases of Ebola from the other diseases. They could be exposed and not even know it. Although they did not know that a single drop of blood could contain 10 billion copies of the virus, and that it only took 1-10 copies to infect a new victim, they did know that it was incredibly contagious. They knew that in their villages whole families were being wiped out. In the end they answered the call to action, they could not escape their commitment to be “Medical Missionaries”. The commitment that has been a part of the SDA health work in Sierra Leone since their forbearers took over the leprosy hospital in Masanga. This group could never abandon their heritage, and so they made a conscious decision to keep the doors of their hospital open as long as God allowed. They would serve their community, they would serve their country. It was not long after this that disaster struck. A new patient arrived at the hospital. He had all the symptoms typical of Malaria and Typhoid Fever, common diseases in this part of West Africa. His blood was drawn and tested positive for both. He was immediately started on intravenous treatment. 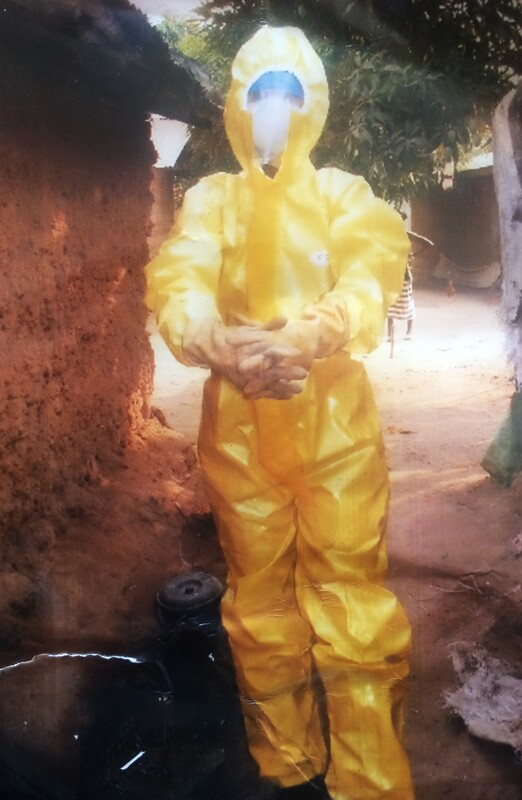 In those early days it was not uncommon for people who had been exposed to Ebola to escape from quarantine. They were often not provided with access to enough food and water during quarantine and so they would break out in search of the most basic staples of life. The following day the District Health Medical Team (DHMT) Ebola Surveillance Officers visited the hospital looking for just such a fugitive. They recognized the patient who had been admitted the day before with Malaria and typhoid as the man they were searching for. The patient was taken from Waterloo Hospital directly to the diagnostic center in Freetown, the capital of Sierra Leone. When it was confirmed that he was positive the government came back to the hospital to close it down. The entire staff had been exposed, they and the entire hospital must be quarantined. The surveillance team together with government soldiers came with automatic weapons circled the hospital ensuring that no one escaped. The staff were able to call their families to bring food and clothes and other necessities. For 25 days they lived in the small 1 acre hospital compound, sleeping two to a bed. They lived with the knowledge they could be the next victims. They lived with the knowledge that at that time nearly 100% of Ebola victims died a horrific death. Then they started to hear that the Community of Waterloo was outraged. Not against the government for quarantining the hospital. No, they were angry with the hospital staff for staying open. For a group already facing an uncertain future the guilt and hurt brought on by these accusations was almost too much to bear. Then the administrator of the hospital, Mr. Joseph Fobbie, called into the local radio station and addressed the community. The appeal had the desired effect. The people in Waterloo saw the folly of their fear and anger. They rallied around the hospital, they began to bring food and blankets to the inmates of the quarantine. In fact, the support was so strong and the food so good that the soldiers did not want to leave after the quarantine ended. They said they had never eaten so well! Inside the hospital all was not well. The medical director, Dr. David Koroma had instituted a twice daily temperature check. It was during these checks that three staff members developed fevers, two nurses and the lab tech who had drawn the blood from man who contaminated them. Dr. Koroma cried as he called the government health officers to report the new cases of suspected Ebola. Many more tears were shed when the staff bid good-bye to their friends as they were taken to the diagnostic center in Freetown where it was confirmed, all three had Ebola. The three were then transferred to the treatment center in Kenema where the two nurses died from the disease. Dalton Kabbia, the lab tech survived by God’s grace. He continues to work at Waterloo Hospital and he shared his story of suffering as he watched those around him die. The day he was told that his colleague, Millicent, had died, he saw at least 20 bodies in the ETC (Ebola Treatment Center). He was sure this was the end, but each day he did his best to eat, and to keep his eyes on Jesus. Slowly he improved until he was ready for discharge. As the quarantine ended for the employees of Waterloo Hospital they heard the fate of their friends. This staff of 38 had lost two of their number, and only God’s hand prevented that number from being higher. Ebola Survivor Dalton Kabbia today. Go to the “Videos” page to hear him tell the story of his journey through Ebola. The government health officers came to Mr. Fobbie and Dr. Koroma and informed them that the government was taking over the facility to turn it into an ETC. They asked the staff to stay on and work at the new Center. Now they faced another life or death decision. 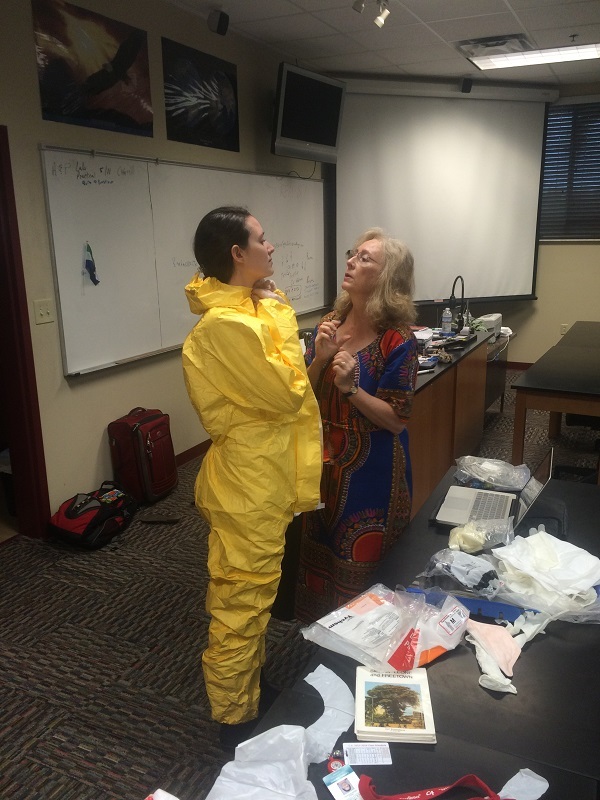 They were being asked to work in the “Red Zone”, directly caring for known Ebola patients. They knew that the Personal Protective Equipment (PPE) was not a 100% effective. 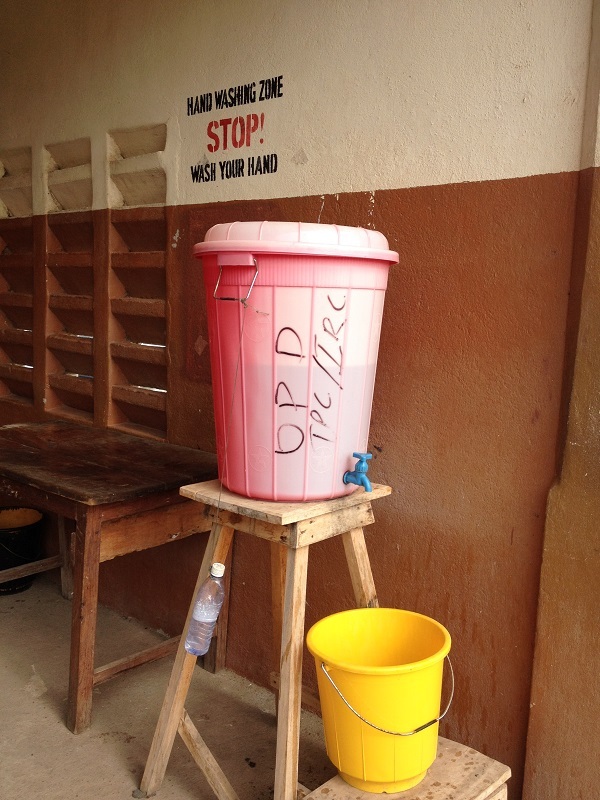 They knew of health workers who had contracted Ebola even while following all the protocols. They had already lost 2 of their friends, would they risk their lives again? It was a difficult decision. They were under tremendous pressure from their families to just say “No”. They were afraid. Only 12 years before the 10 year long rebel war in Sierra Leone had ended. And the staff considered this history. They realized that they were in a war, this time against an invisible microbe instead of rebels. And the war had to be fought with syringes and IV’s instead of with guns. They recognized that in war soldiers die, and this time the soldiers were the health care workers. This was real, two of their friends had already made the ultimate sacrifice. For the second time in just a few months the staff at Waterloo Hospital answered a call to action, they made a conscious decision to put their lives on the line to serve their country and their God, to fulfill their destiny as medical missionaries. They were taken to the national stadium where they underwent an intensive 3 day training course in Ebola protocols. On December 17, 2014 Waterloo Hospital opened as a 60 bed ETC with a staff of over 200. Over the next few months the battle waged against the tiny virus that had invaded their country, but slowly, bit by bit, it was defeated. 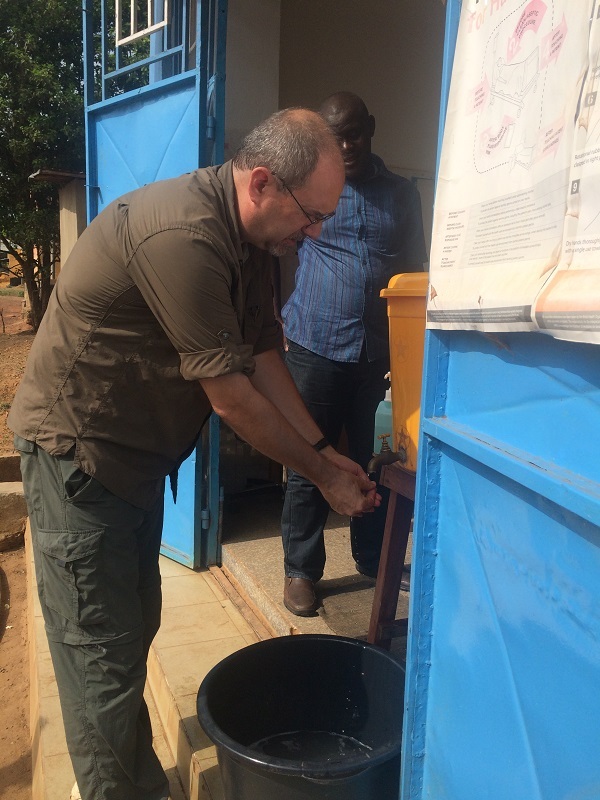 The last case of Ebola in Sierra Leone was diagnosed in January, 2016. When the Waterloo ETC closed they celebrated the fact that they were the only ETC in the country to not have one staff member contract Ebola. But they recognized that God had shed His grace on them, because even the most diligent were not completely safe. Adventist Health System, Waterloo Hospital, Sierra Leone re-opened on November 9, 2015 as a general hospital, this time with 22 beds and 36 staff. The health system still only has one facility, but they retain their vision to transform the physical, social, spiritual, and mental well-being of people in Sierra Leone through the Adventist Health System. 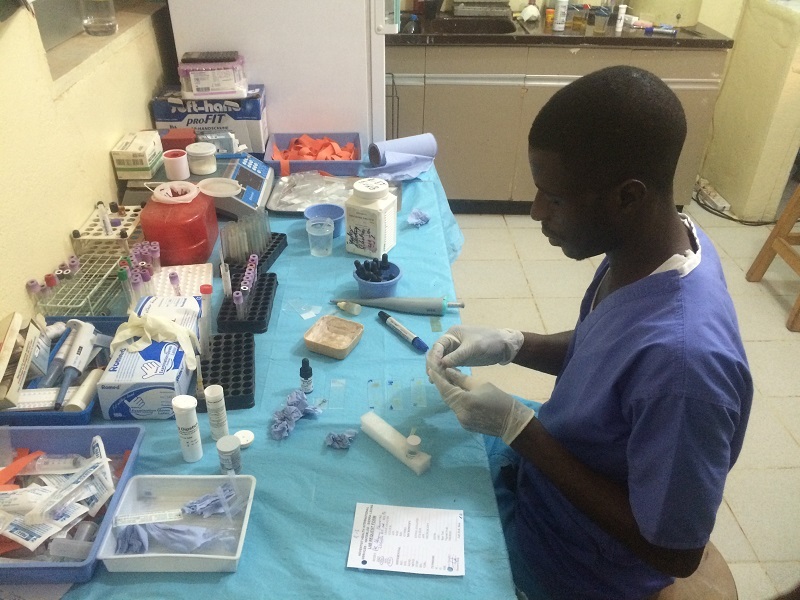 They have plans to open their first satellite clinic in Bo, the second largest city in Sierra Leone by the end of 2016. They have been asked to manage a clinic in a new village being built by a British NGO, Home Leone for the habitants of the slums in Freetown. They have selected land throughout the country where they intend to put other clinics. Handwashing stations like this are throughout the country. 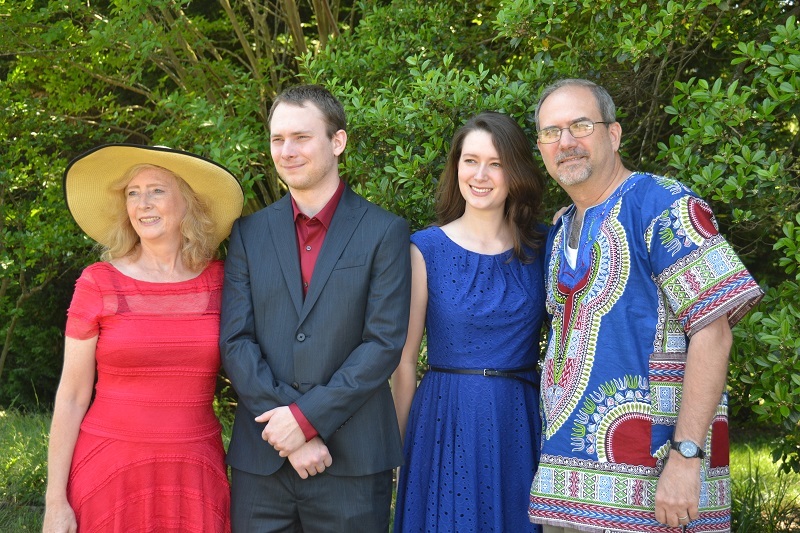 It is a privilege and very humbling for Bekki and I to work side by side with these incredible, faith driven warriors for God as we together fulfill our mission to demonstrate the healthcare ministry of Jesus Christ in Sierra Leone.